The lines in Miami financier Jake Westin’s world are crisp and easy to delineate: black and red, profit and loss. On paper. Until the day after Thanksgiving when Allison Jeffries—a woman he’s heard about for four and a half years but never met—calls to tell him the world they’ve shared from opposite sides of the country will never be the same. Pam and Kenny Rydell–Jake’s best friend and only link to the “bad ol’ days” of his youth—died in a car accident on the way to a Sierra ski resort, leaving their son, Caleb, with his grandmother, who upon hearing the news of her only daughter’s death went into cardiac arrest. In an instant, Caleb’s godparents–two grieving strangers who never imagined the worst-case scenario becoming a reality—must decide how to best care for the little boy they both love. Christmas usually is a time of great joy, but as we all know, accidents happen regardless of our plans. When tragedy happens, lives change in a blink. Caleb’s Christmas Wish examines themes of friendship, promises, loss and grieving, but with the future of a four-and-a-half-year-old hanging in the balance, there is also love, self-forgiveness, hope and joy. If you know that families aren’t limited to the one you were born into then you will understand and appreciate the transformation of my hero and heroine–Caleb’s godparents–as they do their best to care for the little boy they love. Wishing you a stellar holiday season filled with great love and joy! Begin reading the first chapter for FREE. Mary Zirandervon’s home office and blinked to focus on the woman facing her. Her client. A job that ten seconds earlier had seemed the most important thing in her world. Making money. Meeting payroll. Worrying about the loan she owed her parents. That was Allison’s life. Her narrow little life that was brightened immeasurably by her best friend and former college roommate Pam Rydell. She shook her head to chase away that the officer had said. Pam wasn’t dead. She was alive. Laughing. Teasing. Skiing. She was up on the slope at Sierra Summit right this instant. Someone else had been in that middle car. Pam was generous to a fault. Maybe she lent her car to someone who’d needed it. “It’s a mistake,” she said, partly to Mary, partly to the man on the phone. Allison’s knees buckled. She’d have dropped to the floor in a heap if Mary hadn’t rushed forward and helped her onto the desk chair. Tears swamped her vision. Her throat closed and for a minute she couldn’t draw a breath. She shook her head back and forth, struggling to ward off the bad news that still rang in her ears. “No,” she said again. Too loud. The word echoed in the elegantly appointed room, bouncing off the windows that were shrouded by gray fog. Up in the mountains where Pam and Kenny had been headed, the sun would be shining. The air, crisp and clean. The snow brilliant. The black ice deadly. Mary took the phone from Allison’s numb fingers and spoke in a low, urgent tone that added to Allison’s turmoil. She needed to do something. Feel something. Act. But all she could do was sit in the plush leather chair and moan. At least, she assumed the low mewling sound was coming from her. But how was that possible? She wasn’t the kind of woman who fell apart in an emergency. Just ask Pam. Allison’s lips twitched at the memory. She and Pam had bonded the first day of college. Roommates as different as the worlds they came from – Allison, a farm girl from Minnesota, Pam a beauty queen from Michigan. But at the core, they were sisters. Allison was godmother to Pam and Kenny’s son, Caleb. She snatched the phone away from Mary and shouted into the receiver, “Tell me their son wasn’t in the car with them.” Under her breath, she prayed, “Please, God, please, God, please, God.” Last night, Pam had still been undecided about whether to take the four-and-a-half year-old. Full, fat and happy from turkey and all the trimmings, Allison hadn’t paid very close attention to the final verdict. Blissfully content from a day of feasting, hiking and playing games with her best friends, Allison hadn’t felt the slightest premonition that it might be the last time she’d see her friends alive. Caleb was okay. Relief shot Allison to a momentary crest. Thank God. Thank you, thank you, thank you. She tried to say the words aloud, but was too overcome to speak. A fresh rush of tears blinded her to everything but the phone she grasped. All she could do was nod in response to Mary’s silent query. “Praise the Lord,” Mary said, hugging Allison. A second later, the woman dashed from the room, returning almost immediately with a fist full of tissues. “Here,” she said, forcing a wad into Allison’s immobile fingers. Allison leaned her hip against the desk to stay upright and mopped her face the best she could. “Thank you,” she finally managed to choke out. The question required Allison to think. To focus. Something she was said to be good at. Except when her world fell apart. “High blood pressure maybe? Yes, I think that’s right. Pam was always getting after her mother for not watching her salt intake. And I think she’s borderline diabetic, too,” Allison said, trying to shake off the surreal feeling of speaking about everyday things when any fool knew life would never be normal again. It took Allison several seconds to remember where she was. From her home in Fresno, the drive to the Rydell home in Yosemite Lakes Park near the little gold rush-era town of Coarsegold took roughly forty-five minutes, but the Zirandervon home was on the northeast outskirts of town, which put Allison at least ten miles closer. “Fifteen—twenty minutes. If casino traffic isn’t bad,” she said. No, Allison almost cried again. She’d never be okay again. But something in his tone when he asked about Cordelia’s health problems made Allison’s stomach turn over. No more, she silently pleaded. We can’t handle anything else. But she knew that kind of logic was no guarantee that things wouldn’t get worse. There’d been a time when she thought learning you had cancer was the worst thing that could happen to a person. But then her doctors told her that the treatment they were prescribing could only be carried out by aborting the baby she was carrying. She’d had to make a decision too horrible to imagine happen. She’d had to make a decision too horrible to imagine. A decision that had ripped her family apart, poisoned her marriage and might have killed her – if not for Pam, who’d brought Allison back to life. Pam, who’d forced Allison to re-engage in life. But now, Pam was gone. The pain that twisted in Allison’s belly might have consumed her, if not for the knowledge that Cordelia and Caleb needed her. “I’ll be there as soon as I can,” she said, making her vocal cords work despite the knot in her throat. “Why didn’t I tell her I needed her help today?” Allison muttered, blinking away another bout of tears. Pam was hopeless around computers, but she was great in the front office. A true people person, Pam could soothe the most recalcitrant client into accepting the services of Jeffries Computing. The pressure on her chest increased, and the dotted line down the middle of the road blurred. She blinked fiercely. She had to keep her emotions under control for Caleb’s sake. And Cordelia’s. The woman would be devastated. Her only child gone. Cordelia lived in the guesthouse directly behind the Rydells’ home. The eight-hundred-square-foot building had started life as a greenhouse, but Pam and Kenny remodeled it into a diminutive one-bed, one-bath suite after Pam’s father, George Wells, passed away. Pam had told Allison that Cordelia had been adamant about buying the empty lot next door with the intention of building a home of her own beside her daughter’s. But as she became settled, the urgency to build dwindled. Although Pam and her mother argued occasionally—they were after all, two women sharing one kitchen—the living arrangements seemed to work. Cordelia had proven to be a huge asset when it came to helping to care for Caleb. The little boy and his grandmother were close, which made the possibility of something happening to Cordelia all the more frightening. Allison stepped on the gas, pushing her Subaru wagon faster than normal. As she neared the entrance to the housing development that Pam often called Allison’s “country home,” Mary Zirandervon’s words came back. Pam was a sweetheart. Bubbly. Full of life. She put on her blinker without thinking, turned across traffic without really looking and zoomed into the housing development. As her car soared up the slight incline past the reduced speed zone sign, Allison recalled an argument she and Pam had had about speeding. “Loosen up, Ally,” Pam had said, when Allison accused her of having a lead foot. “One might think you’re an uptight nerd –which I know you’re not.” Allison couldn’t remember the rest of the conversation, but she’d smiled. She and Pam were the kind of friends who could say things to each that no one else could. But all that was over. And as she slowed to maneuver past the sheriff’s car that was partly blocking the driveway of the house on Sequoia Circle, Allison knew at a gut level that her best friend in the world was gone, and a part of herself was lost forever. The pain was more of an annoyance than anything else. It prevented Cordelia from taking a full breath, which made her head feel woozy and sent flickering yellow spots across her vision. “You silly old coot. Get a grip,” Cordelia Wells wanted to tell herself, but the effort it took to speak was more than she could muster. She’d never felt so weak, so useless. A small fear suddenly formed. What if this was a stroke? George had had a massive stroke before he died. She’d never forgotten the agony in his eyes, days on end in a hospital bed, trapped in a useless body, mute. Fear tightened the knot under her rib cage and the pain in the center of her chest increased. She let out a small whimper, even though she tried her best to keep it in. Caleb, who was playing on the carpet nearby with his favorite toy, looked up at her. His big green eyes grew rounder and his bottom lip disappeared under his teeth. He had lovely teeth – just like his mother’s. Kenny’s mouth was generous and his smile ready, but Cordelia always wished his mother would have gotten him braces when he was younger. Even Pam, who defended her husband no matter what, agreed that Caleb would be better off with her teeth and gums. Thinking their names brought back the dark and dangerous reality she was trying desperately to keep at bay. She bit down on the wail that threatened to erupt from the deepest corner of her soul. “How are you doing, ma’am?” the young deputy asked. He set down the phone and returned to the couch he’d helped Cordelia onto after breaking the news of the accident. She’d been sitting up at the time, but was now lying down. She couldn’t remember falling over. She sensed that one leg was hanging down in a most ignoble pose, but she didn’t have the strength to move it. “Is that pain in your arm any better?” he asked, trying to elicit a response from her. Cordelia felt sorry for the deputy. He appeared too young for such a loathsome job—telling people their loved ones were dead. He dropped to one knee and picked up her wrist. His large square fingers pressed against her vein. She could feel the erratic flutter as her heart did its job. Her broken heart. She’d tried to handle the news stoically when he’d first told her about the accident. Just as she had when the doctor had told her that George had passed away. But back then, she’d been prepared for the inevitable. She’d talked with friends – other widows. Everyone told her that life and death were linked. You couldn’t have one without the other. But that reasoning was easier to swallow when the person who’d died had lived his life with great verve and total disregard for the health concerns his wife had tried to alert him to. George had been seventy-two. Pam was just thirty-four. The number jabbed her in the heart like a shard of glass. Had Pam suffered? Had she forgotten her seat belt and hit the windshield? Had she cried out in fear? Or in pain? The gruesome possibilities wouldn’t quit playing in her mind. Along with questions. What would become of Caleb? I’m old. How can I give him the life his parents wanted him to have? Who would take care of Kenny’s business? What will we do for money? The pressure on her chest increased; the dots were chased by black globs that terrified her. Was the blackness death? Cordelia wanted to say, “Get real” – one of Pam’s favorite comebacks. But she couldn’t get the words out. Her mouth wasn’t responding. Her voice was gone. She knew she was losing consciousness. Was this the end? One part of her welcomed the idea. She’d been alone a long time. She was ready to join George. And, now, Pam would be there, too. The beautiful daughter, who’d brought such joy to her life. How could Cordelia go on without her? Reaching deep inside, Cordelia found the strength to open her eyes, only to be engulfed by disappointment. Brown hair, not blond. Allison, not Pam. But the look of distress on Allison’s face touched her. Poor girl would be lost without Pam. That’s when it hit her. If something were to happen to Cordelia, Ally would be left to take care for Caleb alone. Ally — who obviously adored her godson, but didn’t know beans about child care. If not Allison then…Cordelia couldn’t think of Caleb’s godfather’s name, at first. Then it came to her. Jake. Jake the Rake, as her son-in-law jokingly referred to his best friend. Jake Westin. He would be raising Cordelia’s grandson. In the distance, the sound of a siren grew louder. Cordelia hated hospitals, but she’d do whatever it took to be there for Caleb. He was all she had left. Allison looked at the deputy for reassurance. Tears swamped her again, choking off her words. She was failing. If Cordelia died…Allison’s mind shut down. She couldn’t go down that unthinkable path. She had to believe that Pam’s mother would pull through. Two strangers in black jumpsuits suddenly rushed into the room. Each carried a bulky bag of equipment. The two paramedics—a tall, thin man and a much shorter, rounder woman—advanced on the couch. Allison scrambled to get out of the way. Cordelia’s eye lids fluttered and a scary sound came from her lips. Allison couldn’t bear to watch, nor could she let Caleb see whatever lifesaving procedures they needed to employ. She looked toward the corner of the room where she’d first spotted the little boy when she’d come in. Sure enough, a small figure peeked around the edge the chair, small fingers gripping the polished cotton fabric is if to pull it around him for protection. Caleb Rydell. Allison’s four-year-old godson. Pam and Kenny’s only child. Their first child, they were fond of saying. The thought hit her like a slap in the face, but she clamped down on her emotions. Get a grip. You can do this. Instinct told her to go to Caleb, pick him up and reassure him that everything was going to be okay, but she didn’t want to add to his confusion by acting out of character. Pam was the touchy-feely one, Allison the reserved, analytical type. When Pam read to her son, the two were so entwined it was hard to see where one body quit and the other took off. Caleb scooted as far back as he could go. He kept his gaze on the object in his hand. His little fingers gripped the truck so tightly his knuckles showed white against his skin. But he acknowledged her question with a nod. He looked at her. Suspicious or just surprised? She couldn’t tell. But being the kindhearted kid his mother and father had raised him to be, he put down the metal truck so he could crawl toward her. She opened her arms and gently hugged him, wishing she had the power to teleport them both to a place where none of this was happening. That seemed to make sense to him. “Policemen are good helpers,” he said, as if challenging her to dispute the fact. “Exactly. Paramedics and firefighters, too. Your mommy told me you got to touch a real fire truck one day. 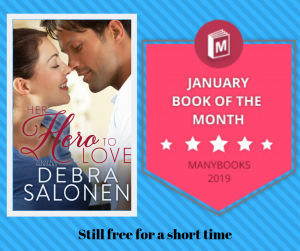 I’ve never done that.” Allison had no idea if her blather was helping, but when Caleb suddenly wiggled to be released, she stopped and bent over until his feet touched the tile floor. “Did you just get up?” she asked, noticing his footed, one-piece blanket sleeper. The much-washed Spider-man print looked a little snug on him, which reminded Allison of a conversation she’d had with Pam the day before. Apparently, his parents had been concerned that Caleb wasn’t growing fast enough. “Well, he is only four,” Allison had replied. She often found herself siding with Kenny on parenting issues. Pam’s style of mothering was far more casual than Allison’s would have been. Not that Pam was anything short of wonderful as a mother, but she let Caleb explore beyond the parameters Ally would have considered safe. Allison had made some comment about finding it ironic that Kenny, a former rock-and-roll band member, had turned out to be the more conservative parent of the pair. The two had laughed, but later on the drive home, Allison had wondered what kind of parent she would have made. Her child would have been nearly nine, if she’d gone ahead with the pregnancy. But instead, she’d caved to the pressure from her doctors, her husband and her family. She’d agreed to abort the fetus that was growing inside her so the doctors could start an aggressive treatment to remove the cancerous tumor they’d discovered while doing an ultrasound. At the time, she’d believed them, but in the dark days that followed, all Allison knew for sure was that she’d had her chance and blown it. Now, through the worst circumstances imaginable, she was being given a second chance to step into motherhood. Only the child in question was far more real than an hazy smudge on an ultrasound image. She loved Caleb, but he seemed to reserve his effusive hugs for his mother, father and grandmother. Allison figured she was to blame for that. When he was first born, she couldn’t hold him without crying. Both Allison and Pam had agreed that wasn’t good for a baby. So, gradually, she became the friendly aunt who brought fun presents and came for every family gathering but didn’t kiss him too much or hug him too tight. She walked to the refrigerator. The sight of a half-eaten, foil-wrapped turkey on the top shelf made Allison’s stomach heave and her eyes fill with tears. Pam had been so proud of her perfect Thanksgiving feast. “No,” he answered. Even as a toddler, he had preferred to do things himself. Waffles? Her heart skipped a beat as she pictured her mother in their old farmhouse kitchen whipping up a vat of batter with a wire whisk. On the counter, their ancient waffle iron would sit with its thick, frayed cord plugged into a socket. Allison had unplugged it once with wet hands and received a shock she’d never forgotten. She hadn’t eaten waffles since. He looked skyward as if asking God for patience – a gesture that was pure Pam. “In there,” he said, pointing to a paneled box on the center island. The built-in unit offered her a choice of a mixer, a blender or a four-piece toaster. He returned to his seat and opened his milk. While the two little squares cooked, Allison moved from one side of the kitchen to the other trying to remember where Pam kept the plates, the silverware, and the syrup. Normally, this wouldn’t have been a challenge, since she knew her way around quite well. But one part of her brain was trying to decipher what was going on in the living room. Grinning, he pointed to the cupboard beside the gleaming, six-burner gas stove. She’d just set the plate in front of him when she noticed Officer Deese motioning to her from the hallway. The grim look on the young deputy’s face didn’t bring any relief. “Mrs. Wells is in cardiac arrest,” the man said when she reached him. His tone was urgent, his frown grave. Luckily, Pam often vented about her mother’s health issues – both real and imagined, so Allison knew Cordelia’s primary physician’s name. Officer Deese called it in on his walkie-talkie. In case of emergency, call Jake Westin. She’d heard Kenny say that just a few weeks ago, but she couldn’t remember the circumstances behind the statement. Jake was Caleb’s godfather. A man she’d never met, although naturally she’d seen many photos of him since he either accompanied the Rydells on their annual family vacations or, as was the case in August, took Caleb off on a Disney World side trip so Pam and Kenny could have some quality time alone. Allison had two sisters and a brother, and while she loved them, she was far closer to Pam than she was to any of her siblings, who still lived within five miles of the family farm. Behind them, two paramedics entered the foyer pushing a lowered gurney. The wheels made a loud, clattering sound on the tile. A second later, the ping of silverware dropping reminded her that she’d left Caleb in the kitchen. She heard the plastic soles of his sleeper shuffling against the flooring as he came to see what was happening. Allison didn’t know exactly how much to tell him. How much would a four-year-old understand? She had to assume that he hadn’t been told about his parent’s accident, and she had no intention of bringing that up just yet. She wasn’t surprised Jake had a fast car. According to Pam, Jake was living la vida loca in Miami. Allison was quite sure her practical station wagon wouldn’t impress Caleb—even with its all-wheel-drive. She changed the subject by telling Caleb he couldn’t go anywhere if he didn’t get dressed. Fast. Allison let him select his own clothes – a florid green T-shirt with a gruesome looking Superhero on it. After a hunt that included moving his molded, red, race car bed – no wonder the kid wanted to go fast, she found a matching pair of sneakers. The socks were different colors – purple and black, but she wasn’t as particular as Pam. In fact, on those rare occasions when she went to a party, Ally had to ask Pam’s help picking something to wear. Unfortunately, they couldn’t share many items because Pam was a petite blonde with a to-die-for-figure; Allison had a “utilitarian” body. “A draft horse versus a Thoroughbred,” she’d once said. The brutal enormity of her loss surged again, but Allison avoided thinking about it by scrambling to her feet to hunt for Caleb’s jacket. “Ready?” she asked, her tone bleak to her ears. Caleb hesitated as if waiting for her to do or say something. “Um…you look good?” she tossed out. He put his hands on his hips and rolled his eyes. “You’re supposed to ask if I need to go to the bathroom,” he said with an exasperated huff. He nodded then marched off to his private bathroom. She followed but stopped short of the door, unsure whether her help was required. Did children his age prefer privacy? She decided to wait for his call. It didn’t come. A minute or so later, he returned. And held out his hands as if she were expected to inspect them. They may not have been perfectly clean, but they looked dampish. “In case of what?” Allison asked, ignoring his direct question. That avoidance strategy wouldn’t work for long, but she knew she had to stall until they learned whether or not Cordelia was going to be okay. How much bad news could anyone take? While Caleb stuffed toys, books and various necessities into a small red suitcase on wheels, Allison checked on the progress of the paramedics, who were just strapping an unconscious Cordelia unto the gurney. Clear bottles of intravenous fluid were attached to each arm. Thick blankets covered her lower body, but the woman’s chest was exposed just short of immodesty. An array of wires sprouted from her like something in a horror movie. Doing something—anything—and knowing Caleb was watching helped stave off the pain that still gnawed at her inside. The actual transfer was less of an ordeal than she’d expected, but the scent of Pam’s perfume was almost more than she could take. If not for Caleb’s close scrutiny, she would have crawled into the back seat, closed the door and wept. At some level, it occurred to her that Kenny’s older much-loved Jeep was missing from its spot in the garage. She vaguely remembered hearing Officer Deese mention the make of the car in the accident, but it hadn’t sunk in. Did a car of that age have air bags, she wondered? Or side impact protection? Both issues had been of major importance to Pam when picking out a family car. A tiny flash of anger flared. Why, she wanted to cry? Why take the Jeep? Allison knew why. The Jeep had been Kenny’s father’s. It was a guy thing, Pam would have said. And she and Allison would have laughed and shook their heads. Once Caleb was safely buckled in the Subaru, she backed the car up and pulled forward to the curb so they could follow the ambulance. The Rydell house was the corner lot – almost three acres – at the mouth of a cul-de-sac. Cordelia’s undeveloped parcel sat to the right. Three other homes to the left made up Sequoia Circle. Pam’s immediate neighbors were a couple whom Allison had met several times. A few years older than Pam and Kenny, the husband, Marc, was a pilot with United. Wife Gayle, a retired flight attendant, was now a stay-at-home mom of three. Their youngest son was Caleb’s age, so Pam and Gayle traded baby-sitting quite a bit. It occurred to Allison to ask Gayle to watch Caleb – until she remembered Pam saying that her neighbors had flown to Hawaii for Thanksgiving. “They travel a lot,” Pam had said awhile back. Detecting a touch of envy in her voice, Allison asked whether Pam missed the touring she and Kenny had done when he played in the band. A small whimper slipped past her resolve. “Go, Aunt Allison, go,” a voice prompted from the back seat. She took her foot off the brake, but she waited until she saw a nod from Officer Deese before following the ambulance. The boxy white van maintained a safe pace, well within the legal limits all the way to Fresno. She didn’t dare question whether that was a good omen, or bad. A very well done story dealing with both parents dying in a car accident, leaving the God parents to deal with their young son. The picked parents are not married and have just met after the death. Upon being told of her daughter and son in law’s death, the only grandparent has a heart attack and ends up in the hospital for quite awhile. How Allison and Jake end up dealing with this new life while trying to keep the own lives in check is very well written. Neither having had children and each with an idea of how to do things is sometimes comical. Definitely a book I would recommend reading. Ms. Salonen pulls the reader in with a touching moment readers can relate to. Then she builds the story up from the fears, anger, and joys of which these struggles and challenges of life, both past, and present often reviel in time. Ms. Solnen doesn’t write to deeply about the adult sexuslity, therfore, it is my belief that teenagerd, as well as adults can read this book. And in my recent personal experience, if you have experienced a recent death of someone in your life, this book can help you work through, and see a different perspective of life after death. How we all react, process, and eventually heal from our loss(es). In Madera County, CA, the deaths of Kern and Pamela Ryder in a black ice car accident stun their friends Allison Jefferson and Jake Weston. However, neither has time to mourn as the godparents to the four year old son of the deceased, Caleb must come first. Caleb is struggling with the loss of his parents that he does not fully understand. However, he turns to Allison and Jake for nurturing. Soon the child has a Christmas wish that he wants Santa to make Allison and Jake his new parents. With their hearts going out to the bewildered tiny matchmaker, Allison and Jake fall in love. Can they make a happy home with the child bringing them together while grieving the loss? Though the lead couple and young Caleb seem to set the 100 yard dash record for getting past grief, contemporary romance readers will enjoy this fine tale in which the two adults willingly sacrifice their own needs and desires to help their godson. The story line is character driven from the moment that Allison and Jake learn of the tragedy until the final efforts to move on. Caleb is to quickly a matchmaker as he has to wonder why the dramatic changes in his happy life, but no one will care as fans will root that this deserving trio finds love and happiness amidst the tragedy that haunts each one of them. Can Allison be a Mom, Can Jake be a father? Very emotional story of single friends being godparents only to be become the parents!! A little boy’s parents are in a fatal car accident can his godparents help him through a very emotional time? Even his dear grandma has health problems right then too. The godparents have heard of each other but never met. Ally and Jake have to learn to be parents and work together to help Caleb through this as well as deal with their own grief! When they realize this a long term commitment they are to make they rearrange their personal lives – his is across the country in Miami FL and hers much closer Fresno, CA but she needs to be hands on at her business. It’s interesting to “watch” Ally and Jake master parenthood , the grief all 3 feel and their new awareness of each other.Caleb’s grandmother fits in nicely too. 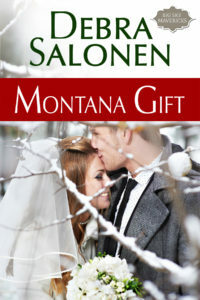 The story takes place between Thanksgiving and Christmas it’s a heartwarming tale Ms Salonen has penned – I Love it!! 5.0 out of 5 stars Will Caleb recieve his wish? While reading “Caleb’s Christmas Wish” I felt almost every emotion possible. I honestly loved this book, despite the fact I read it during the holiday season, which probably made it seem more emotional to me. It grabbed my attention right away because of the tragic accident the young boy, Caleb’s, parents are in. it doesn’t slow down either as his grandmother soon has a heart attack and is sent to the hospital, his godmother, Ally, is only left to care for him, that is until “Jake the Rake” comes to the rescue. No matter how many times Pam (Caleb’s mom and Ally’s best friend) tells Ally that she and Jake would never be anything, they end up falling in love giving this romance novel a wonderful ending. I would recommend this book to anyone who loves to read romances. I laugh and I cried, a lot. I could not put it down and it seemed to always be on my mind whether I was contemplating the end, which was not easily given away. Although there was a bit of foreshadowing you never new what would happen with the two and of course Caleb. This book was one of the most heartfelt novels I’ve ever read. I also enjoyed the fast pace the book had, always re-catching my attention when I least expected.